Data is everywhere and how it is used should be monitored by your data controller and you. Secure document destruction in Ireland is one method of ensuring data security. Data breaches are an ever present issue when it comes to data protection. Confidential paper shredding is one method our customers use when shredding documents. Another factor is data security and preventing data breaches. Physically any document not shredded has the potential of a data breach. This will depend on what data is on the document sensitive or not. 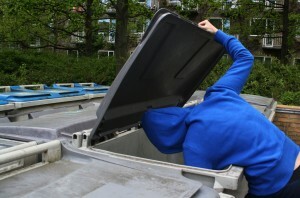 Dumpster diving is a risk to your physical data. In the wrong hands sensitive data can cause representational damage to a business or organisation. Digital data is now more widely used than paper data and protections this data requires a more skilled hand to ensure its protection. Encryption and encrypted devices must be used if storing sensitive data. Data security is strong with most devices today but the methods of obtaining this data get creative. “Phising” are email scams where the malicious software will mimic a well known and reputable site asking for a user’s details. If the details are obtained, the hacker can use this data for their own intent. There are other methods involved to obtain a person’s data and depending on the site or software’s security measures will determine what hackers can do with this data. How Will I Know If A Breach Occurs? The Data Protection Commissioner (DPC) has a guide on the steps needed to take if or when a data breach occurs. The DPC guide suggests data controllers inform the individual of the data breach. What type of data was leaked will determine a data controllers reason to inform an individual of a breach. Fraud, identity theft, public humiliation and or public safety must be informed to the individual if the data lost contains information putting them at risk. Nonsensitive data if breached does not need to be informed to the DPC. Breaches may occur without your knowledge and it’s up to the data controller to decide whether or not to inform you. Prevention is always better than cure regarding data breaches. Be aware of where you put your information online. A reputable site will have security measures in place to protect your data. Sites are vulnerable to breaches. It’s the data encryption that ensures that the data obtained cannot be used in a harmful way. If you suspect your account has been breached then inform the site provider so they can confirm. Data Security is vital for businesses and organisations to succeed. Inadequate security measures are what cause biggest security breaches. Time is of the essence when a breach occurs. Cancel your card or inform your bank about the breach and the site admins also to prevent further damage. This entry was posted in Confidential Shredding, Data Protection, Digital Data, Identity Theft and tagged Confidential Shredding, Data Privacy, Data Protection, Data Protection Commissioner, Data Security, Identity Theft, secure document destruction, Secure Shredding by Security in Shredding. Bookmark the permalink.